Wow, wow, wow, wow, wow! Did I say WOW? In two days we got to see Masada in Israel and then Petra in Jordan. To say that Petra was breath taking is an understatement. How people 3,000 plus years ago were able to create those amazing rock carvings is beyond me. How many people worked for how long to dig out the stone? We left the hotel this morning at 6:45 and headed to the Jordanian boarder. When we arrived at the boarder they checked our passports at least 6 different times at different locations. We had to pay for a day visa to cross the boarder and switch buses once we crossed the boarder, but in the end it was worth every moment! Mountains of Jordan on the way to Petra. Just beautiful, pictures don’t do it justice! The entire experience was just spectacular. 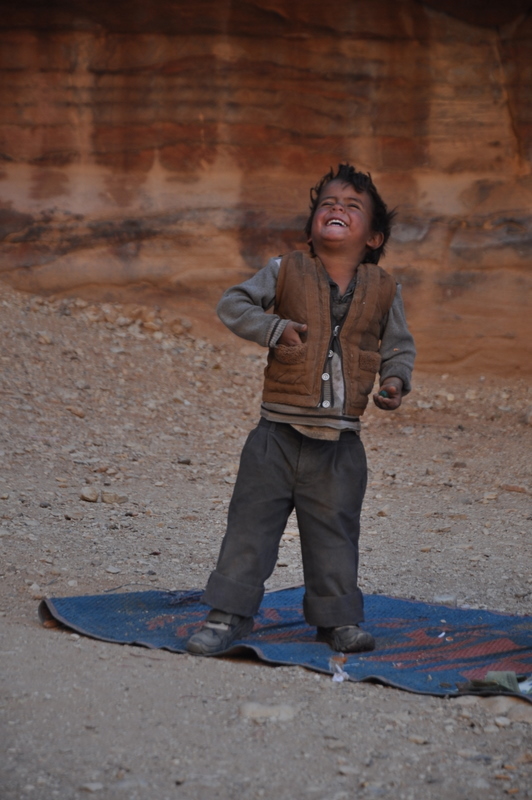 From the time we crossed the boarder until the time we left Petra were mind blowing. 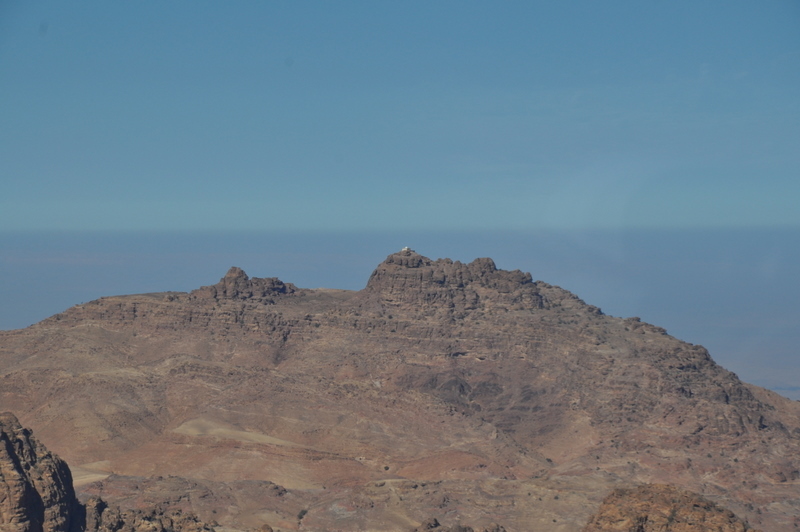 The Jordanian mountains were beautiful on the way to Petra, and all the amazement of Petra is hard to describe. At least here pictures can capture the beauty and wonder. At Masada, that was not the case. If you don’t know much about Petra, it is an a ancient city that was built in a gorge that was created by a great earthquake. The thin canyon leading down to the city had a complete water system carved into the rock walls. Along the canyon there were carvings of camels and gods that have been worn away over a few thousand years. The majesty of the place was breath taking and the light hit the different colored stone at all different angles, so special. 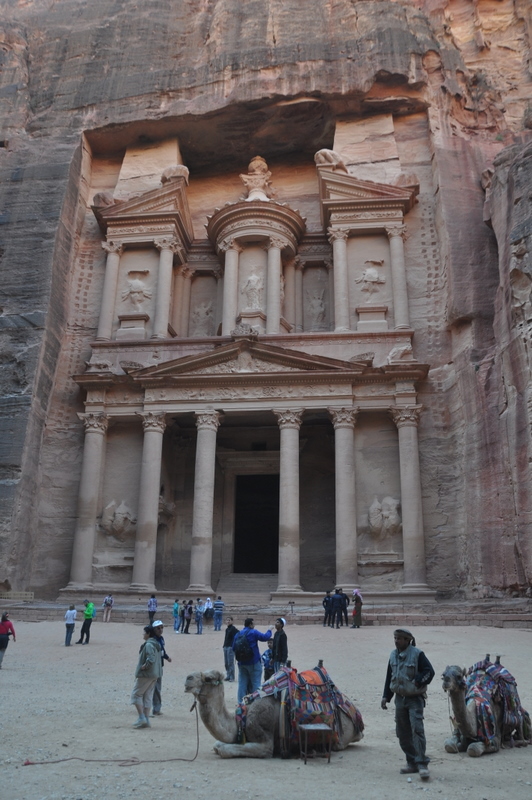 The Temple at Petra that is just spectacular in so many ways. When you get the the main attraction, the big building called the Treasury, you can tell it was built for a very wealthy king. It just takes your breath away. How did they build such a structure out of the rock? All the temples were built as burial tombs, not temples to pray in. There were thousands of caves, ranging from the basic hole in the wall, to the ornate massive temple in the main square. The stories that the guide told were very informative and the carvings were, well, amazing. 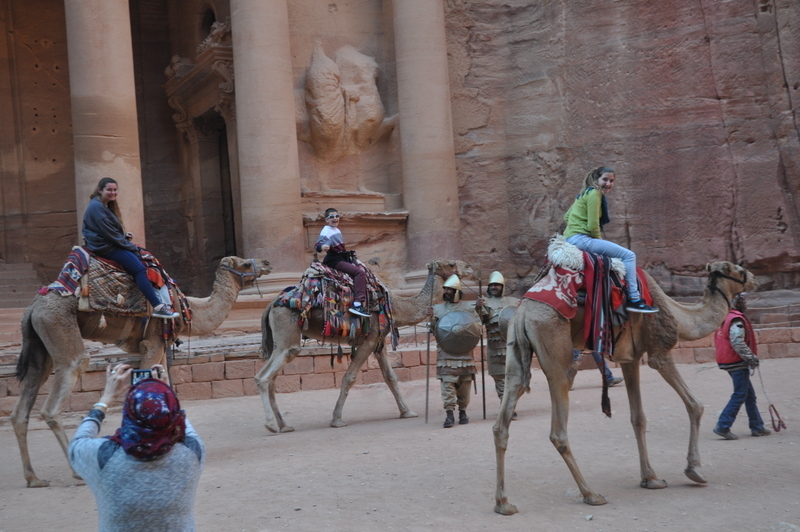 Petra is one of the 7 wonders of the world, and now I know why! Once we got to the main temple it was like a little circus. There were camels to ride, donkeys to take you to the next part of town as well as little children selling souvenirs by the boat load. These kids were amazingly cute and some of them were amazing sales people. There was one old man playing an instrument with a young boy dancing next to him. This little boy was so adorable and having so much fun, it was very captivating, even if the music wasn’t very pleasant to the ear. 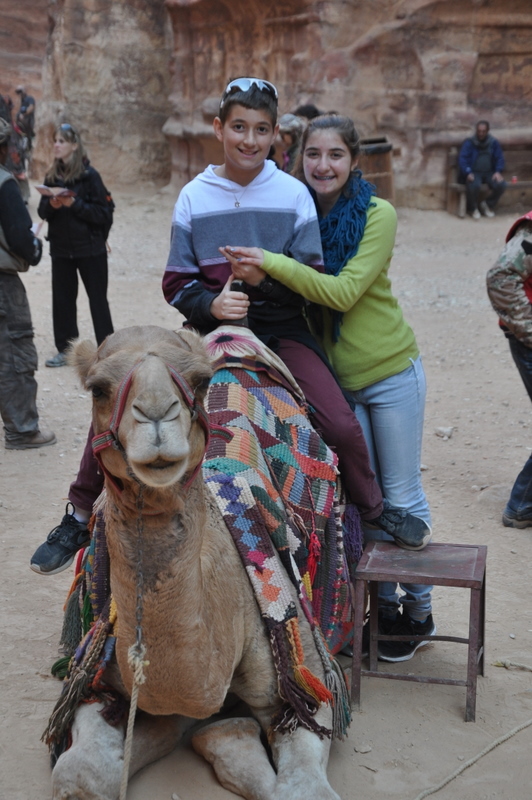 We had the kids ride a camel and then we continued walking through the ancient city. We must have walked a good 5 plus miles for the day. It was a shame that my parents didn’t come because my dad’s stomach started to bother him. Since he stayed back my mom did as well. In the end it would have been very tiring for them, but it was a wonderful experience for those that did go. Tomorrow we have a relaxing day in Eilat and then Friday is a travel day back to Tel Aviv. Two more days and then we head home to prepare for the big trip.